OUR TOP PICKS FOR 2018 IS HERE. We've created a new YouTube page to share trades I consider actionable. Make sure to subscribe to my channel here. It provides insight into how I analyze charts and approach the markets. Find below Swing Trades for the week! SIGN-UP NOW AND RECEIVE YOUR FIRST 30 DAYS FOR LESS THAN $4/PER DAY. NO COMMITMENT. NO CONTRACTS. CANCEL AT ANY TIME. 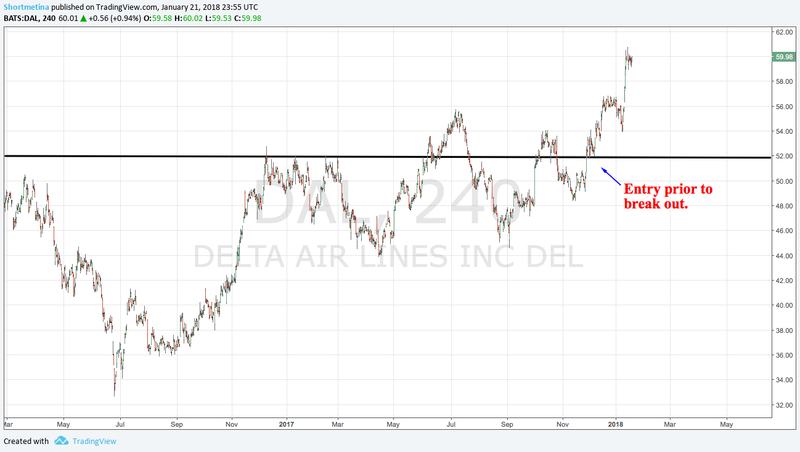 ​Another premium member winning trade. We entered this stock with a buy zone of $2-$2.50. Stock went as low as $1.97 before reversing. 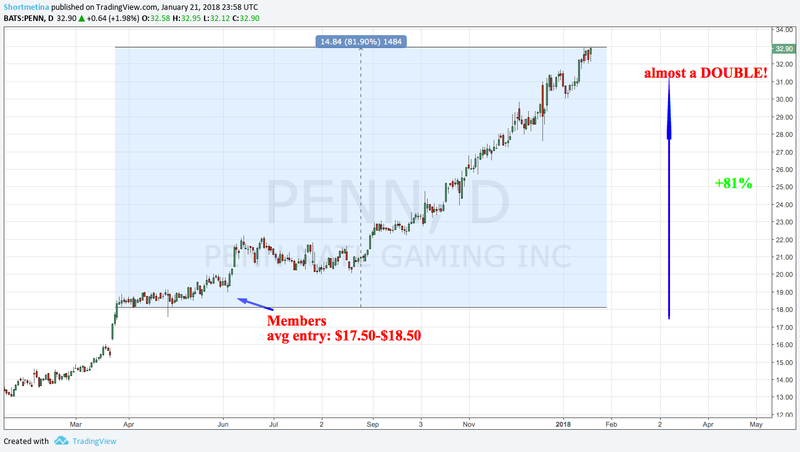 With a 52 week high of $3.55, premium members were up +77% in a few short weeks. We remain bullish on this stock and see it hitting $4 within 1QTR/2018. ​I wrote the above last week; when the stock closed at $3.34; stock reached $4, topped out at $4.07 on Friday before pulling back. Again, it is in my opinion that the run has just started for this stock; although we are up over 100%. This is a stock to watch. Another premium member winning trade. We outlined a very basic strategy on how to play the crypto-currency market in our TOP PICKS for 2018. Ripple made the list as a crypto-currency of choice. Since entering this trade around mid December; we saw a percentage increase north of 700% in under a month. 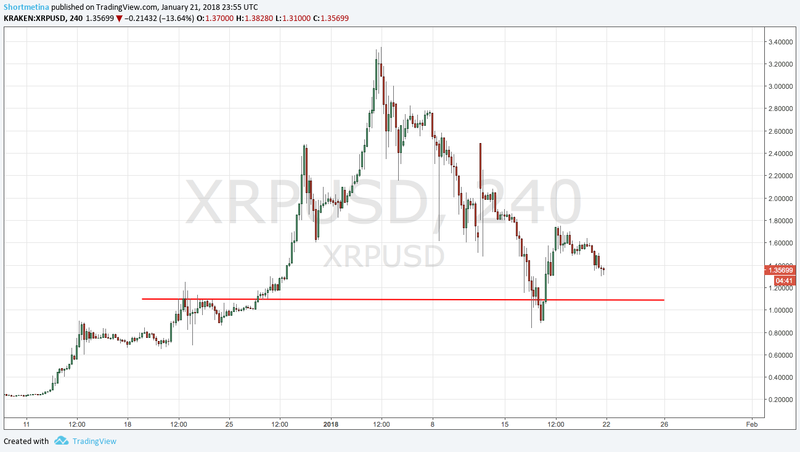 While I do believe there are 'better' coins to get into; I still see further upside for Ripple. If you're interested; you can sign up to our Newsletter here. Another premium member winning trade. 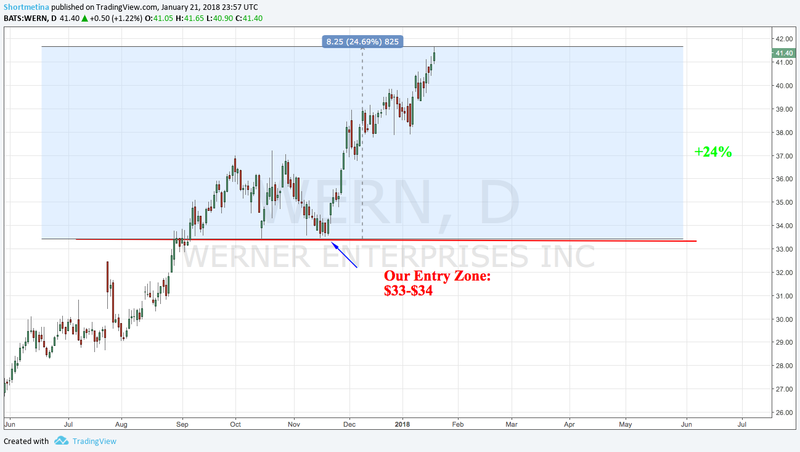 We entered this trade with an average buy-zone of about $51. Our initial 9% target was hit when the stock traded above $56.68. And while this isn't on our TOP PICKS for 2018, we do believe there is further upside for the airline! Another premium member winning trade. Listen to our video recap for my reasoning behind the trade and where I think the stock can go. This made our TOP PICKS for 2018 list. Another Premium member winning trade. 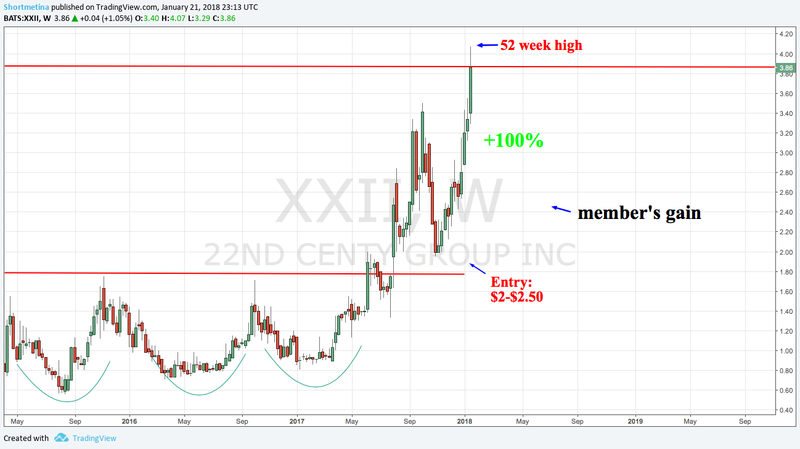 We got into this trade with an initiation price of $33-$34. Stock went as high as $39.85, before pulling back slightly. 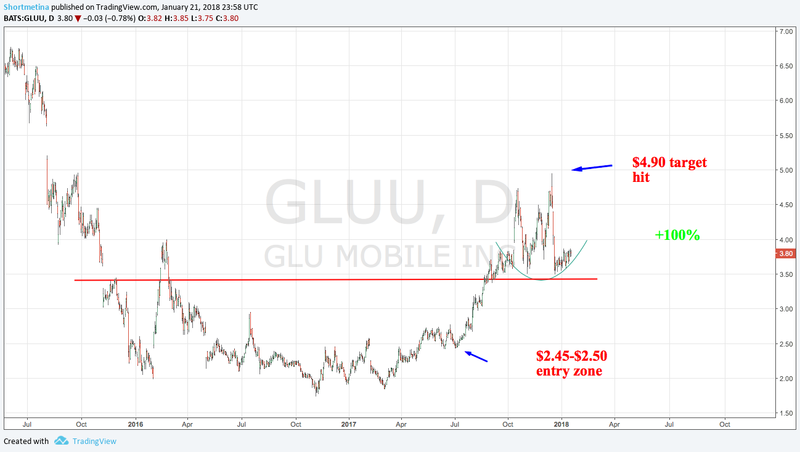 ​I do believe there is further upside for this stock; it is one to watch for 2018. Another premium member winning trade. I've always maintained the monies is made by holding on to your winners. Almost a 100% gain achieved from our avg entry of $18*. I do believe there is further upside with this gem. Another premium member winning trade. We entered this trade with a buy zone of $2.45-$2.50. And our 100% target was hit; after the stock went as high as $4.95 before pulling back to $3.64. I get asked a lot about this trade and if there's further upside. My personal take on this stock as always is; it depends on the successful adaptation of their games and apps. Ensure to monitor their newest mobile app; The Swift Life and how well it's doing in regards to downloads and grossing. That will give you some insights into how well they are monetizing this app. Don’t forget to follow ShortMeTina on StockTwits, Twitter, Facebook and Instagram. This trading watch list is for information and illustrative purposes only. It is not, and should not be regarded as investment advice or as a recommendation to buy, sell and/or hold any securities mentioned above. All investments carry risk, there are no guarantees. Investors should consult with their advisers with respect to their investments.